Do you want to grow berries? Learn about the care, propagation and cultivation of berries. A course covering all aspects of the propagation, care and cultivation of common, and uncommon, berry fruit; with the opportunity to specialise to some degree in one type of berry. Berry growers or anyone aspiring to work on a berry farm. Those who would like to set up a berry farm. Horticulturists of all types seeking to broaden or deepen their knowledge of berry fruit growing. Hobby farmers, home gardeners, permaculturists, sustainable lifestylers or anyone else with a passion and need to know and understand more about growing berries. Learn more about berries - a must do course for the enthusiast or professional grower. A course for the enthusiast or commercial grower. Covers all aspects of the propagation, care and cultivation of common, and uncommon, berry fruit, from soils to marketing produce. Review of the system of plant identification. Plant Families, Species, Cultivars, Varieties. What is a Berry -Botanical Characteristics (Simple fruits, Compound Fruits). Information contacts (i.e. nurseries, seed, clubs etc.). Further Considerations affecting what to Grow. Review of Significant Berries including. Production Plan for Berry Cropping. Measuring Water Available to Plants. When and How to Harvest. Cost, Quality and Quantity characteristics in a Crop. Farm Layout for Better Management. Differentiate between different types of berry fruit cultivars. Determine varieties of berry fruit suitable for growing in a specified locality. Explain the cultural treatment for a range of berry fruits, in specified situations. Determine how to propagate a range of different berry plants. Explain the harvesting of different berry crops. Develop strategies for commercial success in a berry fruit enterprise. Distinguish between common and botanical definitions for the term berry. Compare the botanical characteristics of berry fruits from four different taxonomic families. Prepare a plant collection of twenty-five different berry varieties, not collected elsewhere in modules of the Advanced Diploma in Applied Science, including the following details on each plant: Plant names (Common and scientific); A photo/illustration or pressed specimen; Cultural details; Harvest and post harvest; Uses (e.g. valuable products). Develop criteria for the selection of suitable berry fruit varieties, to grow in a specified locality. Evaluate the performance of four different berry varieties growing in the learners locality. Determine appropriate varieties of different berries to grow in a specified locality, including: Strawberries; Brambles; Other berries. Describe an appropriate planting method for each of three specified genera of berry fruits. Illustrate an appropriate pruning methods for each of four different genera of berry fruits, using sequences of drawings, photographs, or video. Determine appropriate irrigation practices for two different, specified berry plantings. Develop feeding programs for a twelve month period, for three different berry crops suited to growing in the learner's locality. Conduct simple soil tests to determine soil characteristics relevant to a proposed berry planting in the learner's locality. Soil tests should include: Soil type; Water holding capacity; pH; Drainage. Recommend appropriate soil preparation for the tested soil, in 3.5, prior to planting a specified berry crop. Compare four different weed control practices appropriate for specified berry crops. Develop soil maintenance programs for a twelve month period, on a monthly basis, for three different berry crops. Identify ten different health disorders (e.g. pests and diseases) on berry plants in the learner's locality. Describe different methods for propagating five specified berry plants, including: Cuttings; Runners; Division; Layering. Demonstrate cutting propagation of two different berry species. 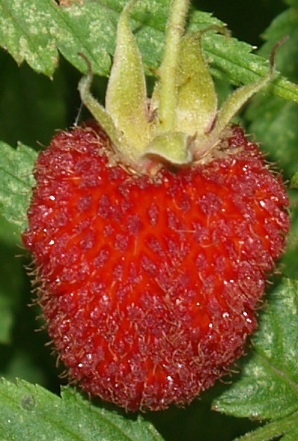 Produce marketable berry plants representing two different genera, either as bare rooted or container plants. Compare the commercial viability of propagating one specified berry by two alternative propagation techniques. Explain how to determine when five different types of berries are ready for harvest. Describe different methods for harvesting five different types of berries, including: Manual; Mechanical. Explain the harvesting of five types of berries before they are ripe, and ripening of the berries off the plant. Determine appropriate post-harvest treatments for a specified commercial berry crop. Develop a resource file of thirty items of information relevant to the berry fruit industry, including: Suppliers of berry plants; Trade or grower associations; Publications. Determine criteria which are significant in the commercial success of a specific berry farm, visited by the learner. Explain how a range of five different berries are prepared for the market. Prepare a chart of ten different berry species that lists their shelf life. 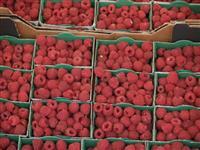 Evaluate the commercial viability of three different methods of packaging and presenting berries for sale. Compare common marketing strategies for berry fruits, including: Selling at wholesale markets; Selling on contract to chain stores; Selling to processors; Roadside stalls; U-pick selling. Develop a marketing plan for one specified type of berry fruit. Everyone is familiar with strawberries, raspberries and blueberries; and most people can name a few other common edible berries. There are however hundreds, if not thousands of types of berries grown and eaten around the world. Some may only be popular is a certain region or country; others might be more widely used. Some may not be cultivated and sold commercially (yet); but that doesn't mean there is no potential to do so. This course gives you an opportunity to learn and understand the production of a wide range of berries, using a range of different cultural methods. It will open your mind to possibilities you may not have yet considered. It will help you discover and consider new possibilities, and improve on things you might already be doing. Some students will use what they learn for commercial purposes. Others will be pursuing a passion or improving their self sufficiency. Also known as: Chinese Wolfberry, Happy Berry, Matrimony Vine, The Chinese Boxthorn, The Red Medlar, Duke of Argyll’s Tea Tree. This plant recently referred to as a ‘wonder food’ or the ‘Mother of all Lyciums’ originates from china. It can grow as rather lax shrub that sends out long shoots of new growth often referred to as a ‘vine-shrub Lycium chinense’ or more upright Lycium barbarum. Both species have extensive roots system which helps the plant to seek out both moisture and nutrients – it also enables the winter dormant plant to live in extreme climatic conditions varying from -15°C to 40°C and is also drought tolerant. It is therefore suited to a range of climatic conditions such as the cool climate of the UK (where it grows wild in hedgerows – introduced to the UK in the 1600s) and temperate to sub- tropical areas of countries such as Australia. Full sun is preferred. This is a low maintenance shrub that does require regular pruning to keep the plant in shape, it also makes harvesting of the berries easier. The shrub fruits once a year and consequently the fruits are dried for later use. All parts of the plant are used for medicinal purposes including the leaves, flowers, berries, bark and roots. Parts are harvested according to the season and are reputed to aid longevity as well as good health: leaves are harvested for use in spring, glowers in summer, fruits in autumn and roots and bark in winter. Plant can be grown from seed or bought as rooted cuttings. Plant out in summer and commence harvesting good crops in the 2nd or 3rd year (usually around 1kg per plant). The berries do oxidise readily during harvest and also bruise easily there is no quick harvesting method. Although they can be eaten fresh, they are usually consumed dried. Study Berry Production by distance learning - valuable studies for commercial growers and enthusiasts. Students are supported in their studies by our specialist Horticulture tutors. Enrolling is easy - just go to the box at the top of this page and select your payment plan and learning method. Phone (UK) 01384 442752, or (International) +44 (0) 1384 442752, or use our FREE COURSE COUNSELLING SERVICE.